Mark McLain of Confluence Architecture, Carbondale, Colorado, has been awarded a patent for his design for a backcountry ski pole basket that he calls the “Bristlecone Backcountry Basket”. 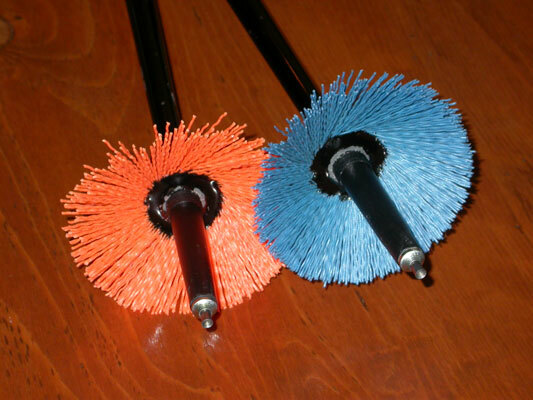 Have you ever had your ski pole basket get caught on something while you were skiing? Perhaps a tree, or a stick just below the surface of the snow, maybe even a crust formed on top of the snow? 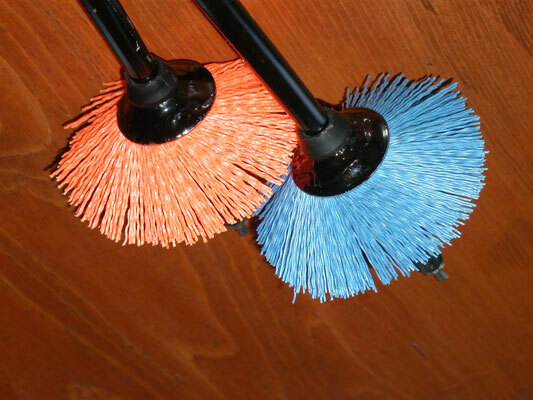 The idea behind the design is simply to use radiating bristles as the surface to resist the pressure on the snow, that way there is nothing to hang-up on solid objects. The new design gives identical support on powder to a solid basket design, but the bristles of the Bristlecone Backcountry Basket can fold away, allowing it to be pulled through a 1 1/2″ hole! “I made it to enhance my backcountry skiing experience, but it is about safety too. I have heard stories from people that have gotten hurt because their ski pole basket got tangled up with something, getting off a chair lift in one case.” Mark adds. Mark is currently seeking a product manufacturer to licence the patent and produce these for everyone. Good luck Mark, maybe one day the Bristlecone Backcountry Basket will become as common on the hill as helmets have become.